Great British Telemarketing | Notes from the U.K. Recent and highly unscientific research reveals that you have to do more than move across an ocean to get away from telemarketers. Okay, Wild Thing and I knew that already. Since we moved here, we’ve been called by people telling us our computer has been affected by such a dangerous virus that the only way to fix it is to read a credit card number into the phone and take a sledge hammer to the hard drive. We get calls from a recorded voice with an urgent message. So urgent that it doesn’t merit a live call. And so on. Some of these calls set off reactions we could never have predicted. She has no idea where that came from—or which of us was the lady he so didn’t want to talk to. People here commonly use the word lady where we’d say woman. I notice it and I kind of roll my eyes , but in a detached, mildly amused way. And, I should add, an invisible one—the mental eye roll; the virtual one. Sometimes think I should object, but it doesn’t set off any deep reaction in me. You want to call me a lady? I’ve been called worse things, although I’m not sure any of them were more unlikely. It was unfair, I know. The callers were following a script. Lots of people we know have worked for call centers, and it’s wrong to make a tough, underpaid job any harder than it already is, but there I was being horrible to the people who read the script, not the ones who wrote it. I knew that. I pledged to reform. And then the phone would ring and off I’d go. Oddly enough, now that I’m living in the U.K., I’m less rabid about being called Mrs., even though it happens more often here. This isn’t my native culture. It can’t touch me as deeply. That makes no sense, but it’s the only explanation I can offer. It still pisses me off, but I’m more distant about it, and less vocal. Plus the phone isn’t in my name. That helps. The lady of the house, though? Sorry, she’s in the back, and the maid’s helping her with her lace gloves. Can you call back when the butler’s available to take a message? 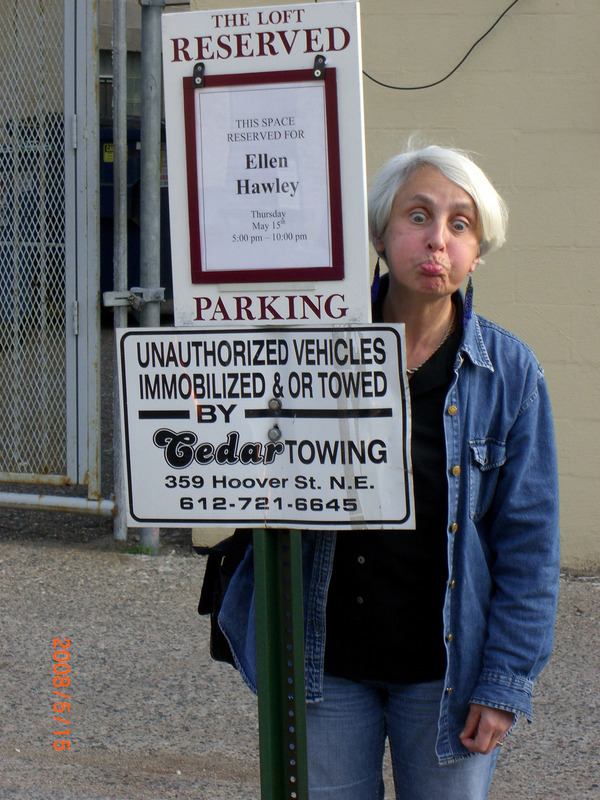 This entry was posted in Intercultural Mayhem, Language and tagged Americans in Britain, Americans in England, England, humor, language, sexism, telemarketing by Ellen Hawley. Bookmark the permalink. For some reason, about half the recorded-voice urgent calls I get are on my cell phone. But since I almost never have the damn thing turned on, they go into voice mail and I get to delete them. I kept my name after I got married, and that’s proved so confusing to people that I’m constantly going around telling people (even ones who don’t ask), “Just call me Karen” so they don’t call me Mrs. HisLastName. Just the other day, I was in a doctor’s office going over my record with a technician and she totally threw me for a loop by calling me “Mrs. Karen.” Wha??? Huh??? Maybe we should look at that title “Mrs.” not so much as political statement coming from the speaker’s mouth, but rather just as title used out of respect toward a person with whom they are not familiar? I do think that’s how some people mean it, but why should it be respectful to assume a woman’s married? About the first part of your comment–holy batshit, I would’ve thought in this day and age people would be used to a woman keeping her own name. I’m mostly with you on this issue, though. I just picked up the phone the other day where the caller was looking for my husband, realized I wasn’t him, asked, “Is this Mrs. HisLastName?” and I’m sure the ice in my voice when I said, “No, this is Karen” traveled all the way through that telephone wire and froze his stupid, clueless heart at the other end. Would you rather be called “Miss”? I can tell you I’ve been going around for ten years trying to get people to call me Karen and it makes a lot of people (the auto mechanic, the kids in my kids’ playgroup, the police office who just stopped me for speeding . . .) uncomfortable. I’ll stop clogging up your blog now with my comments. Loved the post. Made me laugh out loud. Keep commenting if you like. It’s an interesting conversation. I don’t like Miss either. That too is about whether I’m married. Ms. is fine with me. I know some people don’t like it, maybe because anything new takes some getting used to, but it sits well with me. I, too, kept my family name after getting married. I told anyone who asked that it’s because my husband and I both have the same first name–Terri/Terry. Since I never actually wanted to change my name, this proved to be a convenient excuse. Periodically, we’ll get a call from someone who doesn’t know us. The conversation usually goes something like this. Caller: Can I talk to Terry (sp?) please. Us: Which Terry (sp?) do you want? Caller: Um, Terry (sp?) Senior? At which point we typically end the conversation. I love it. That conversation is so perfectly absurd, it should be laminated and saved forever. A mildly related favorite tale: In the early days of databases, when I was at the school, we got an advertising circular addressed to “Mr. & Mrs. Southside.” I kept it for a very long time. Great stories. I don’t think I can top either of them.